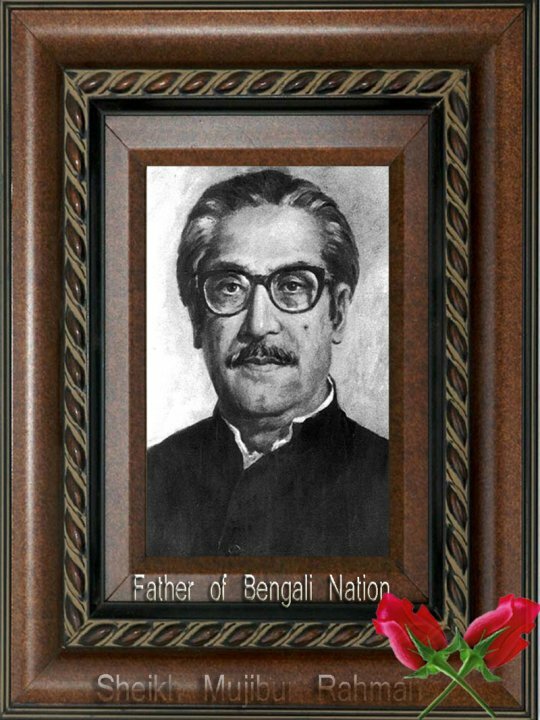 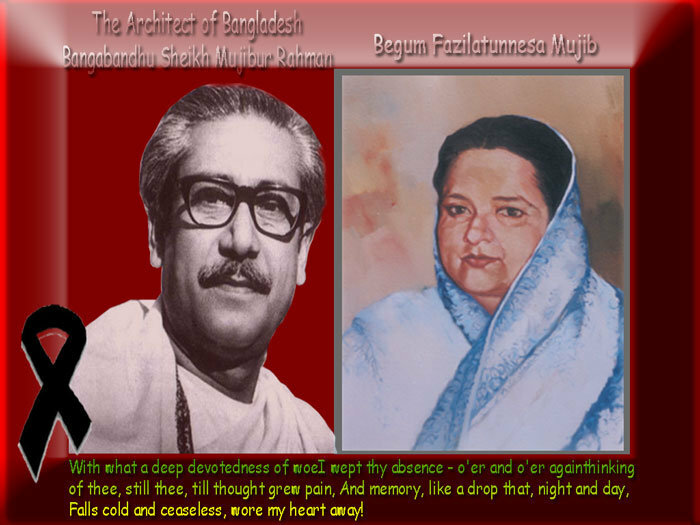 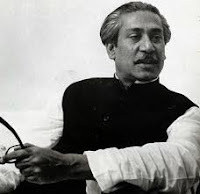 Some of the biographers of the Father of the Nation Bangabandhu Sheikh Mujibur Rahman have said that he was the most astonishing and much talked about leader in South East Asia. 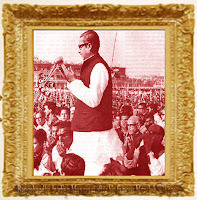 In an age of military coup d'etat he attained power through elections and mass upsurge; in an age of decline of democracy he firmly established democracy in one of the countries of Asia and in an age of "Strong Men" he spurned the opportunity of becoming a dictator and instead chose to become the elected Prime Minister. 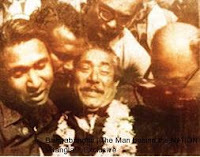 The way he turned a nonviolent non-cooperation movement of unarmed masses into an armed struggle that successfully brought into reality the liberation of a new nation and the creation of a new state in barely ten months will remain a wonder of history. 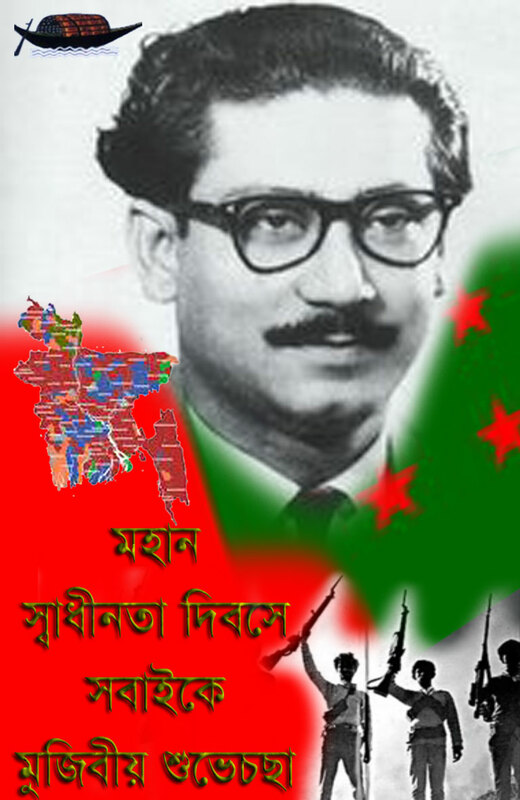 In fact, the entire Bangladesh was then in a state of revolt. 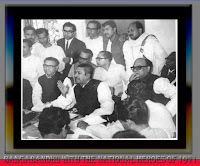 The sudden postponement of the scheduled session of the newly elected National Assembly and the reluctance of the military leaders to transfer power to the elected representatives of the people had driven the people to desperation and they were seeking the opportunity to break away from the Pakistani colonial rule. 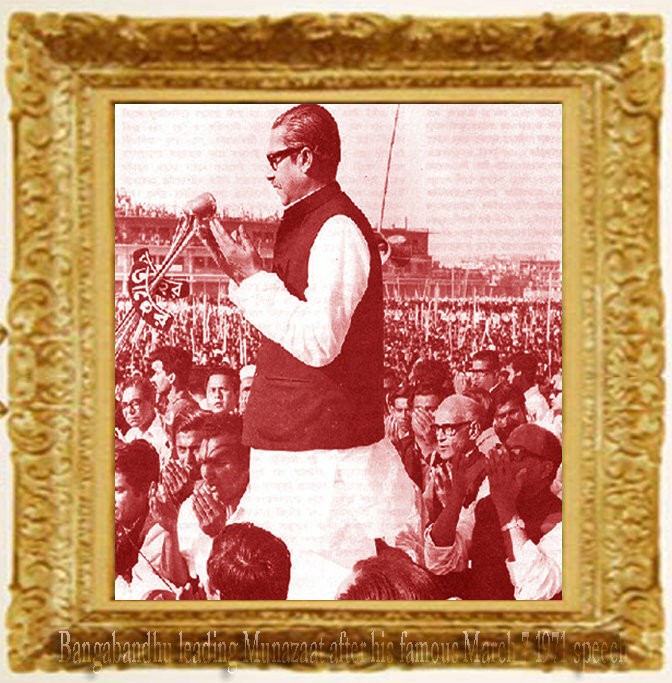 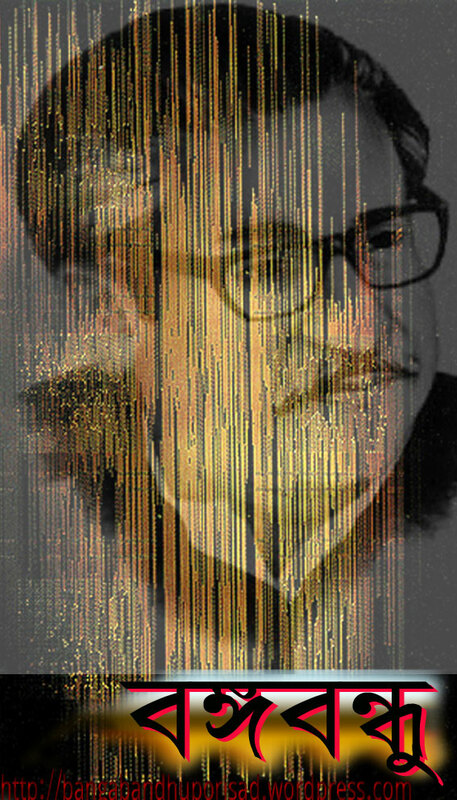 Nearly two million freedom-loving people who assembled at the Suhrawardy Uddyan that day had but one wish, only one demand : "Bangabandhu, declare independence; give us the command for the battle for national liberation." 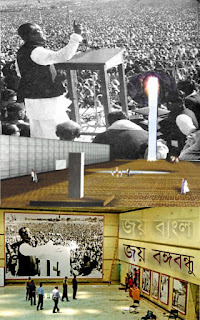 The Father of the Nation spoke in a calm and restrained language. It was more like a sacred hymn than a speech spellbinding two million people. 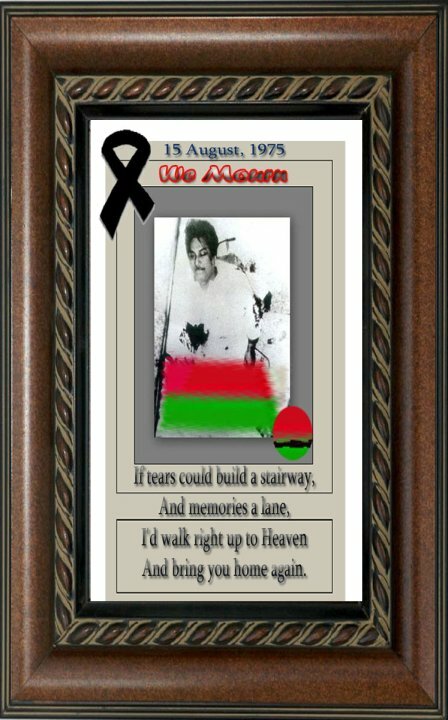 His historic declaration in the meeting on that day was : "Our struggle this time is for freedom. 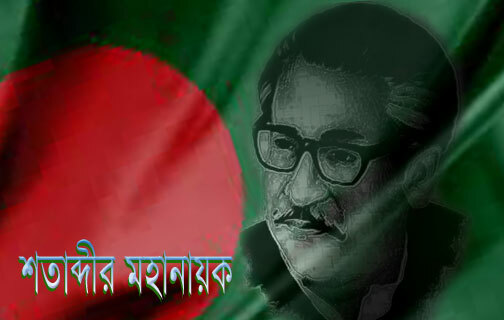 Our struggle this time is for independence". 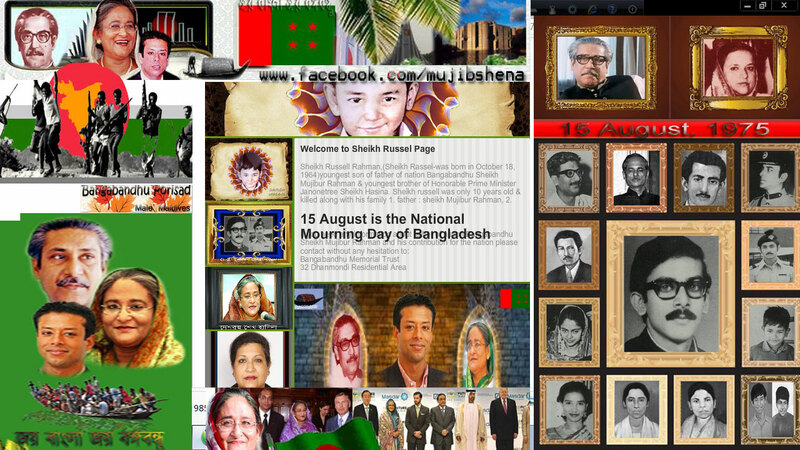 This was the declaration of independence for Bangladeshis, for their liberation struggle. 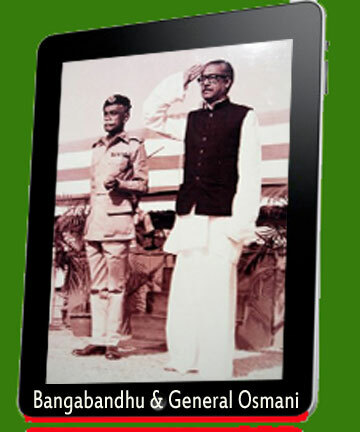 But he did not give the Pakistani military rulers the opportunity to use their arms. 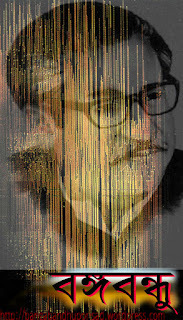 He foiled their carefully laid scheme. 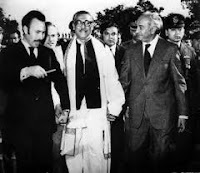 In the same speech he took care to put forward four proposals for the solution of the problem in a constitutional way and kept the door open for negotiations. 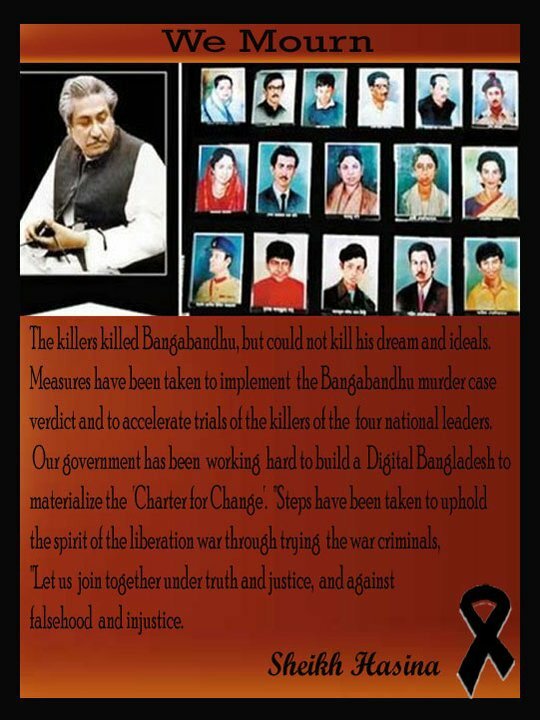 Bangabandbu had to move forward step by step in his struggle. 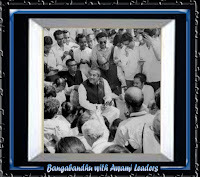 He had to change the tactics and the slogans of the movement several times. 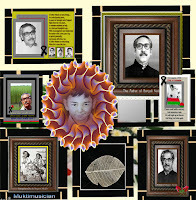 It can thus be said that though the period of direct struggle for freedom was only nine months, the indirect period of this struggle spread over 25 years. 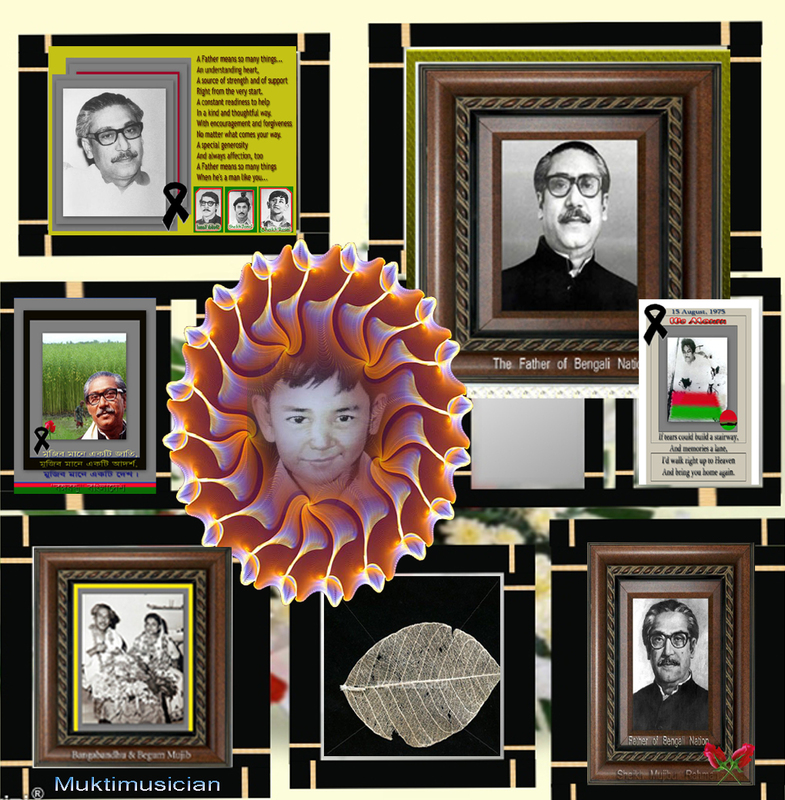 This 25-year period can be divided into several stages. 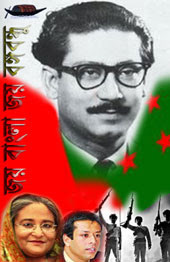 These are : (a) organizational stage of the democratic movement; (b) movement against BPC or Basic Principles Committee's report; (c) language movement; (d) forging of electoral unity and the victory of the democratic United Front; (e) military rule; (f) movement against the military rule; (g) movement for autonomy; (h) the historic Six-Point movement; (i) electoral victory and the non-cooperation movement; and j) armed liberation struggle. 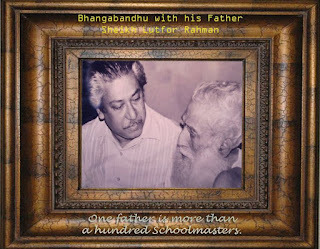 He passed his matriculation examination in 1942. 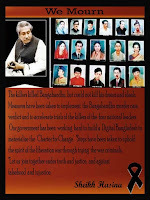 His studies had been interrupted for about four years due to an attack of beriberi. 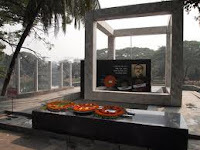 He got acquainted with the revolutionary activities of Netaji Subhash Chandra Bose during the Hallwell Monument movement in Calcutta. 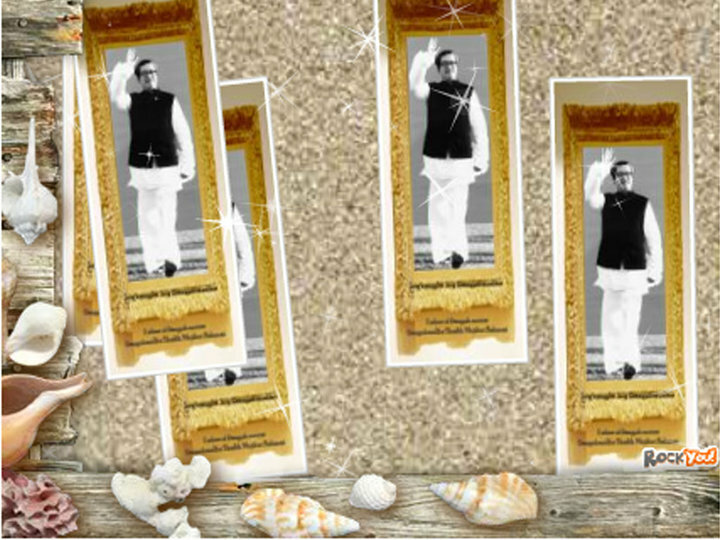 Suhrawardy's staunchly logical approach and Subhash Bose's spirit of dedication influenced him immensely. 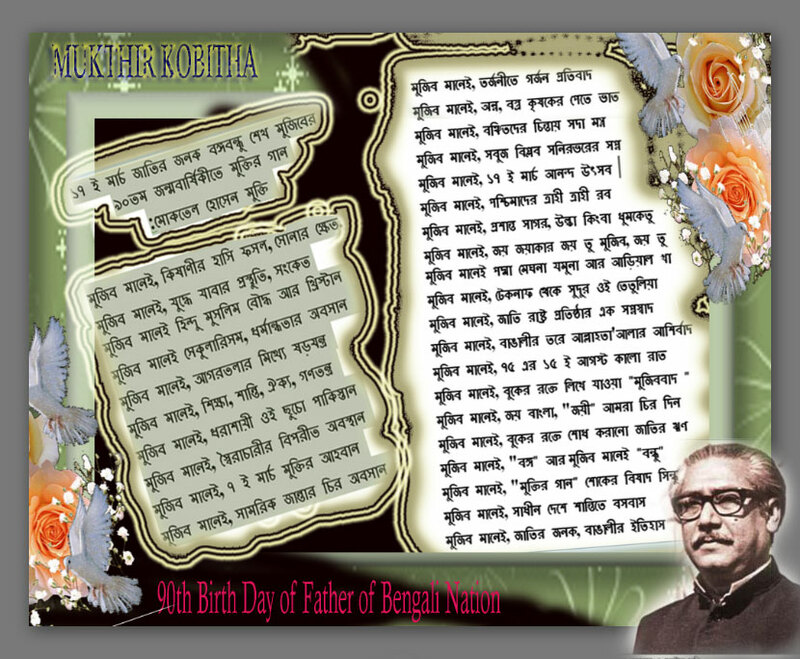 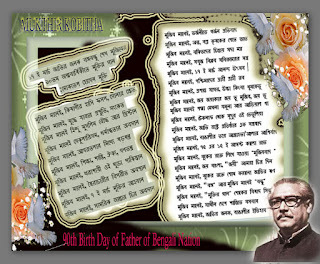 He was influenced by another great leader, "Sher-e-Bangla" A.K. 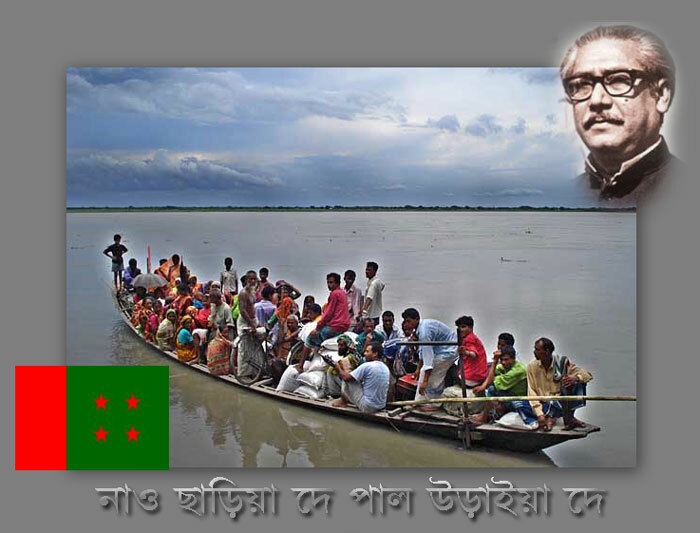 Fazlul Huq and his political philosophy of the plain fare ("dal-bhat") for all. 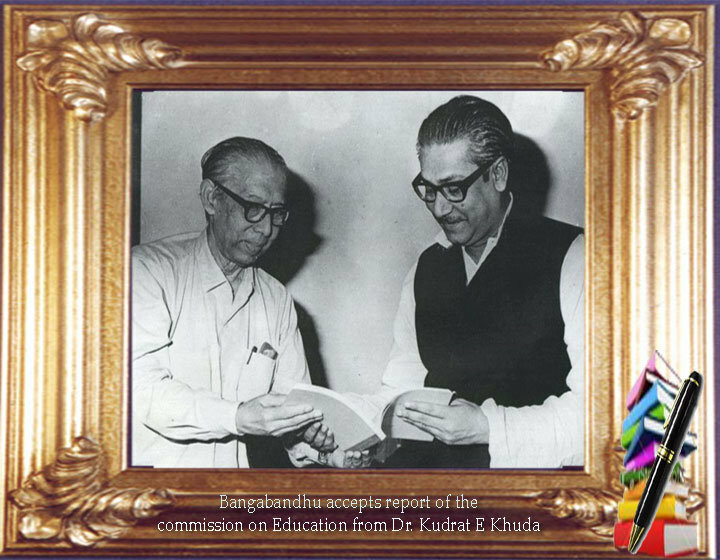 At that very early stage he realised that in a poor exploited country political programmes must be complimentary to economic programmes. 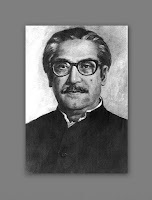 In 1950, Prime Minister Liaquat Ali Khan of Pakistan announced the Basic Principles Committee's report for framing a constitution. 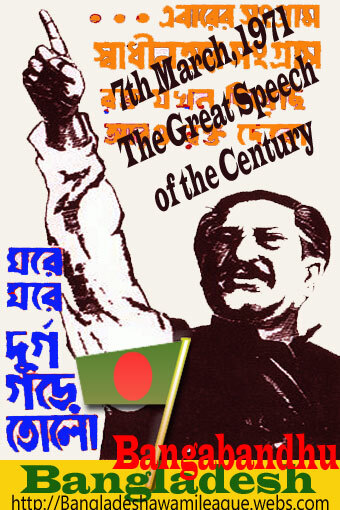 This report manipulated to turn the majority of Bangladesh into a minority through subterfuges, and to make Urdu the state language. 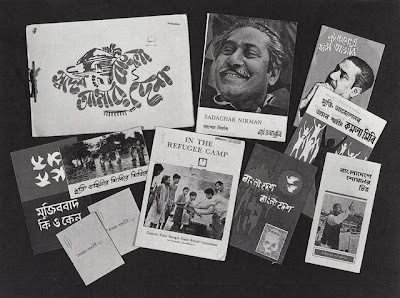 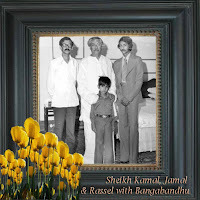 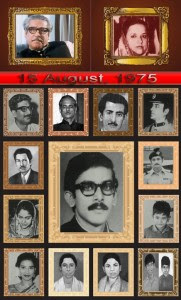 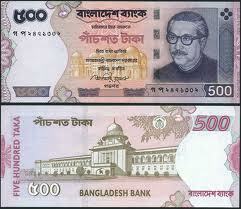 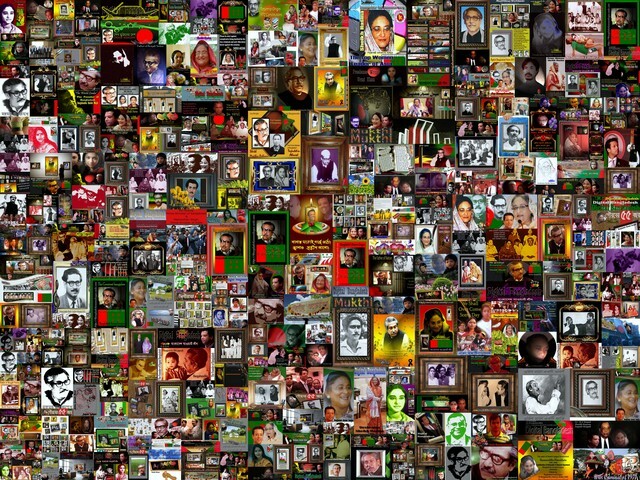 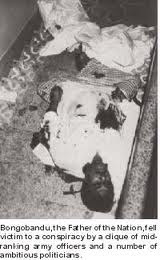 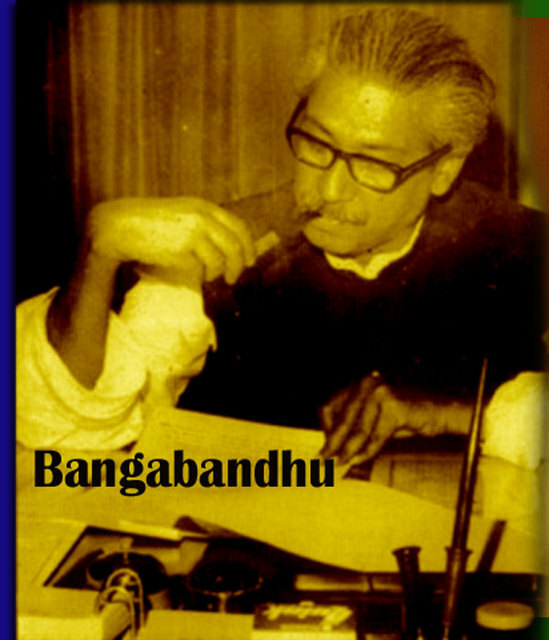 There was a spontaneous countrywide upsurge in Bangladesh against this report and the Bangabandhu was at its forefront. 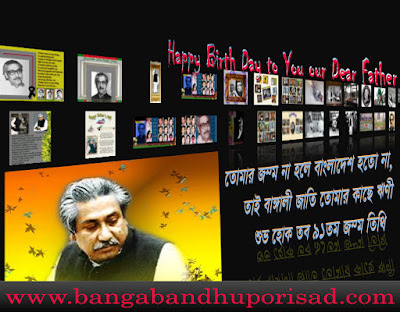 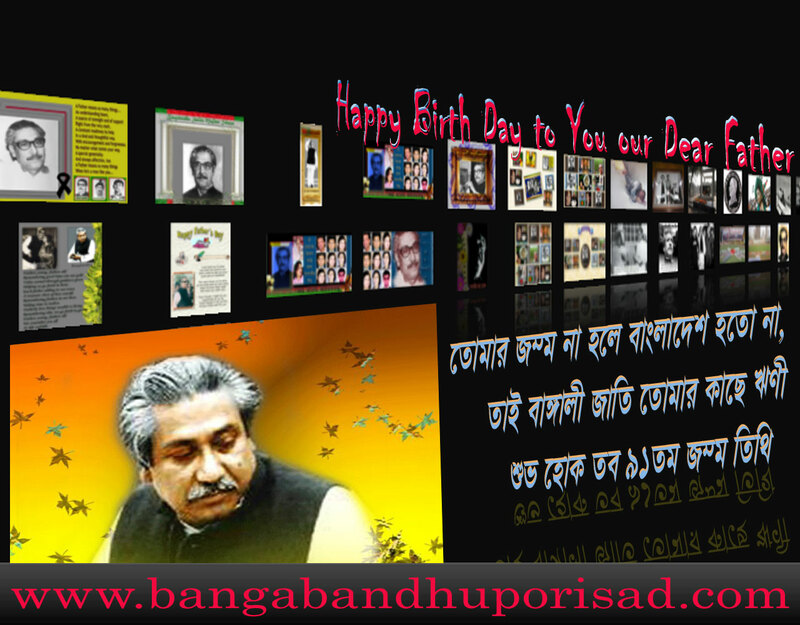 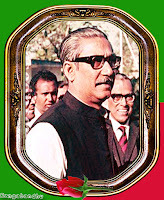 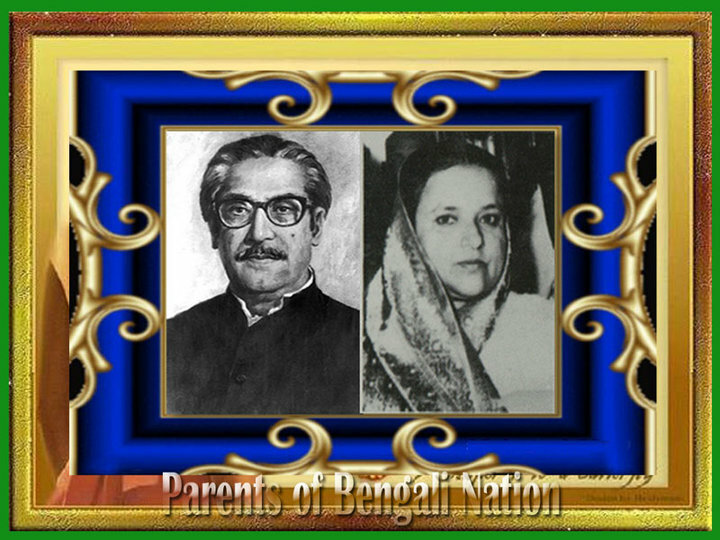 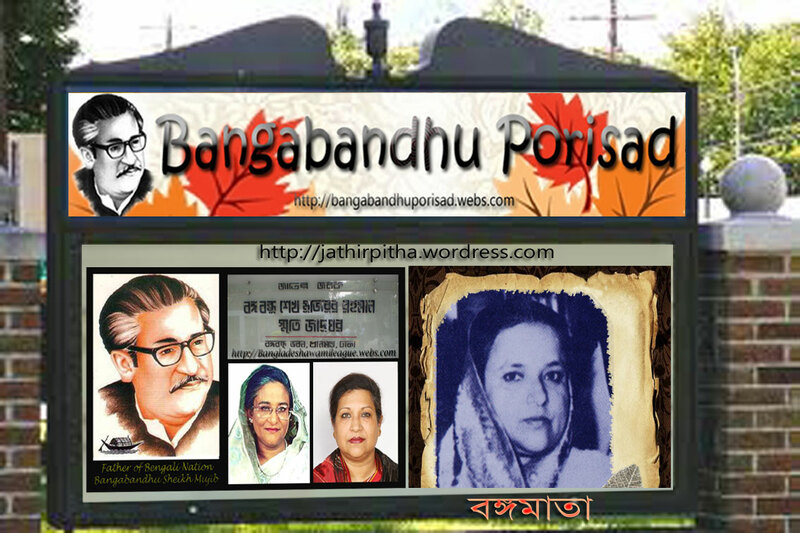 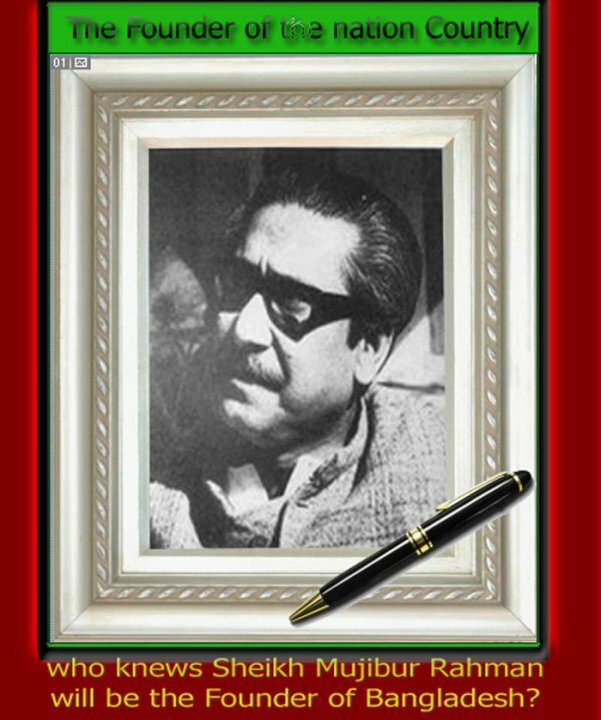 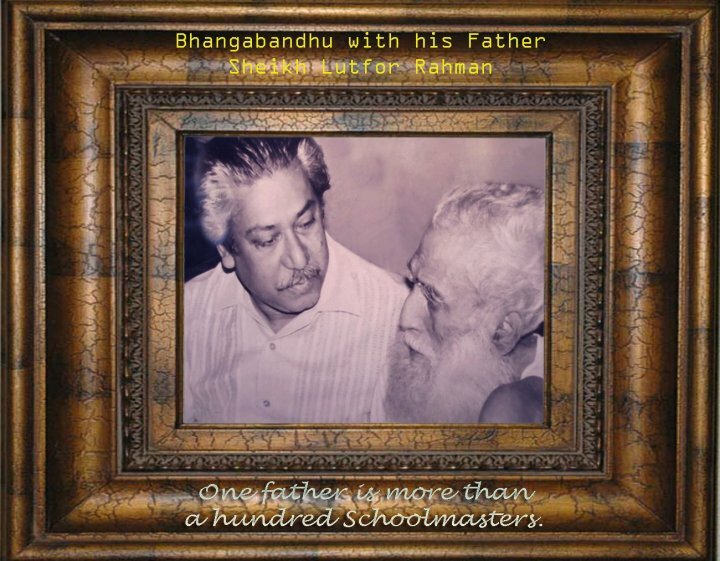 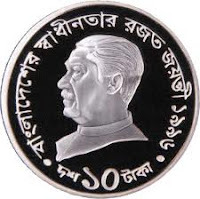 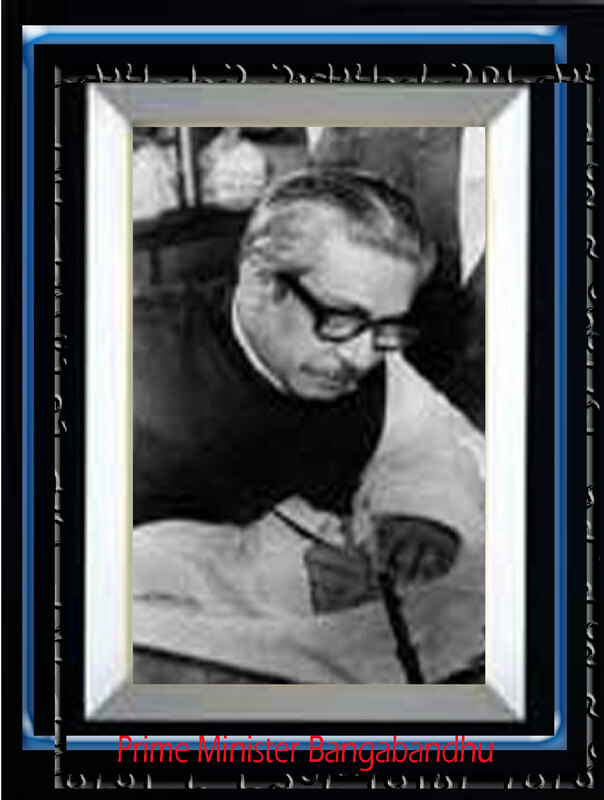 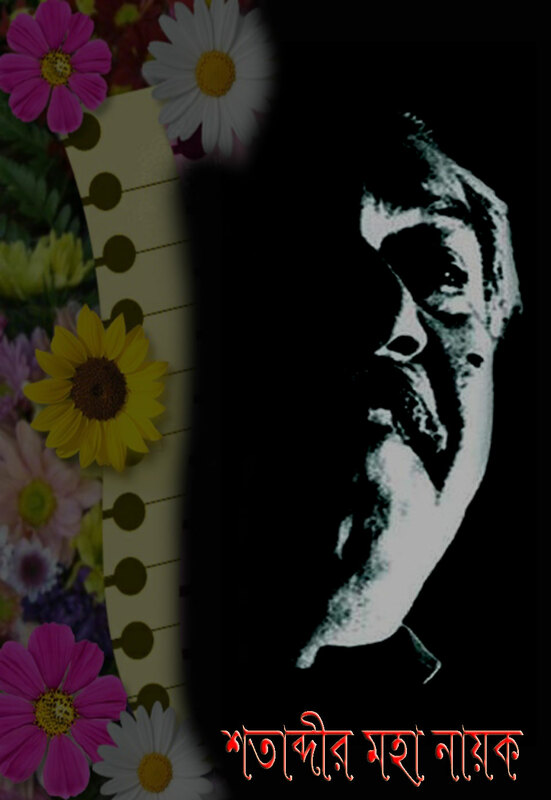 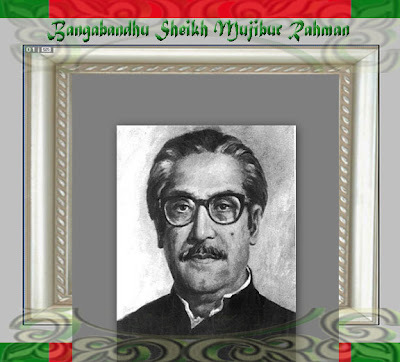 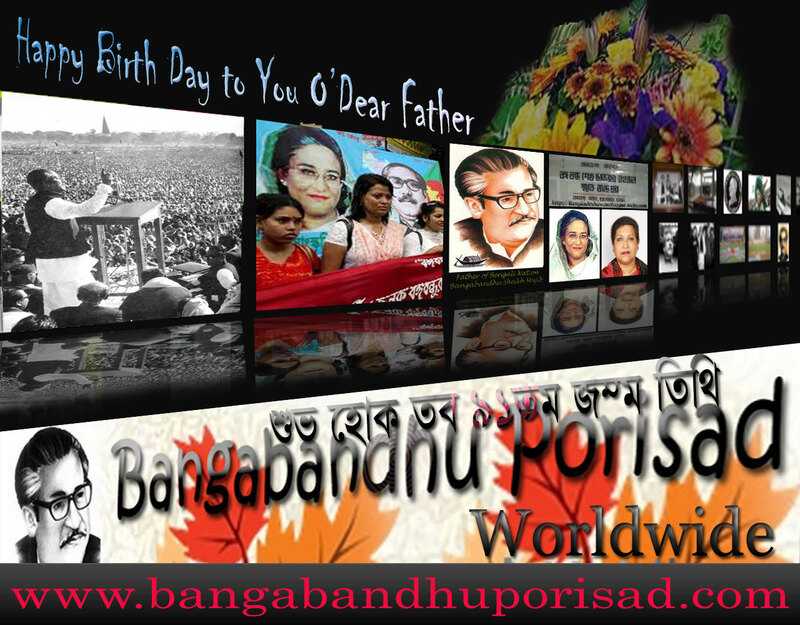 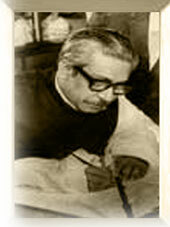 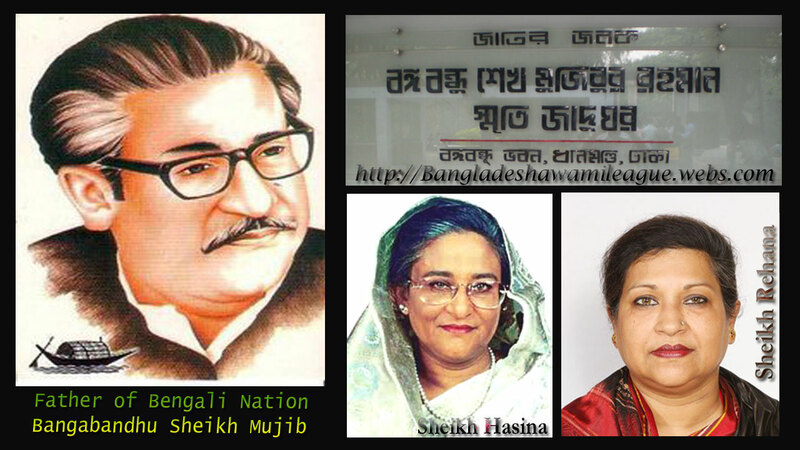 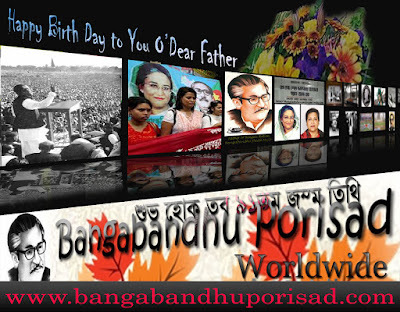 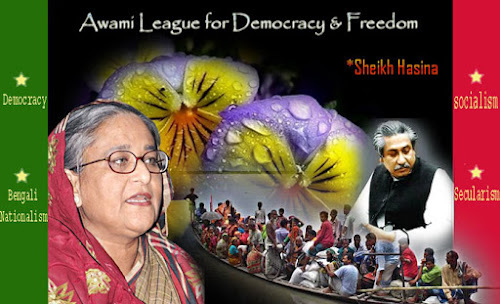 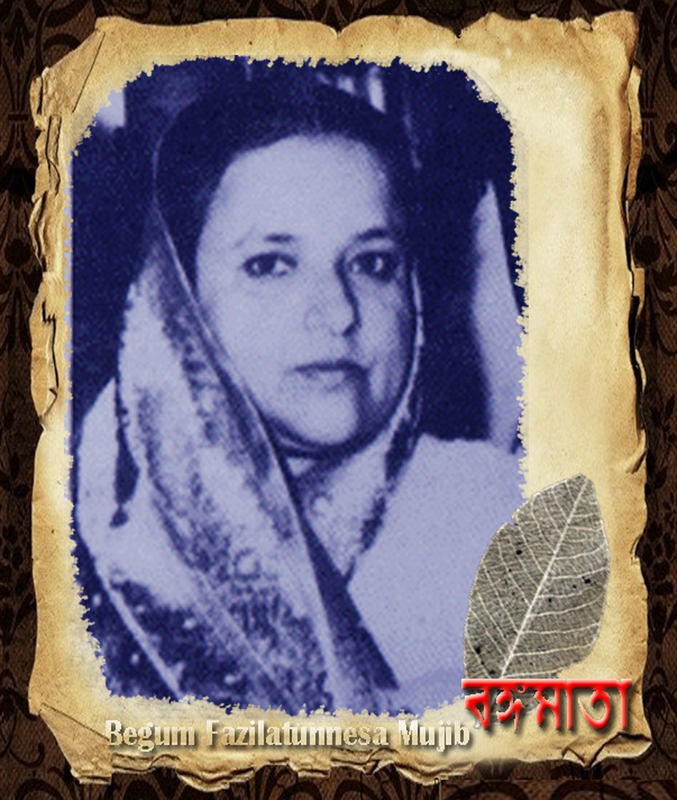 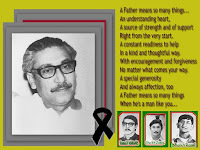 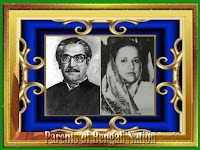 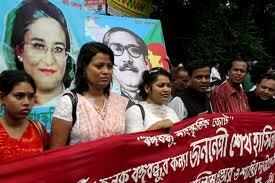 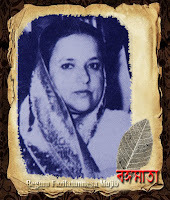 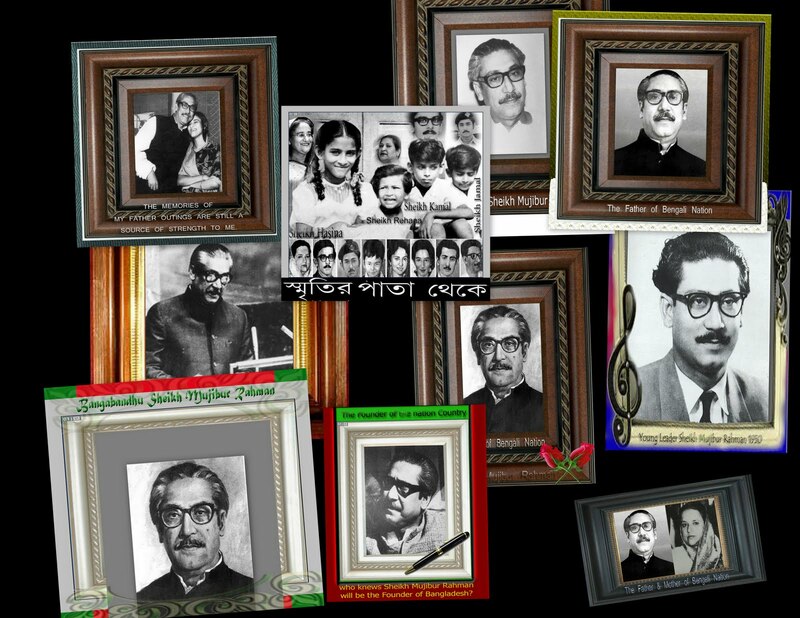 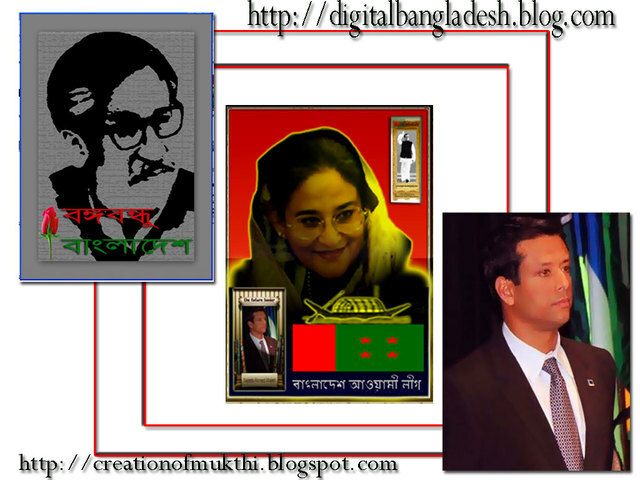 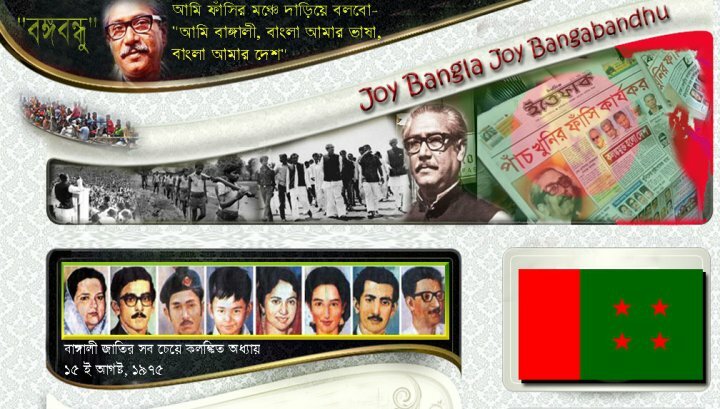 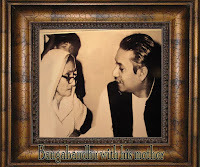 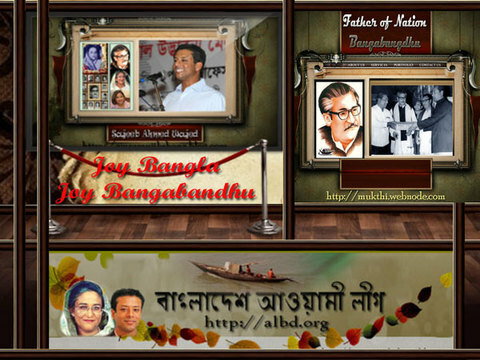 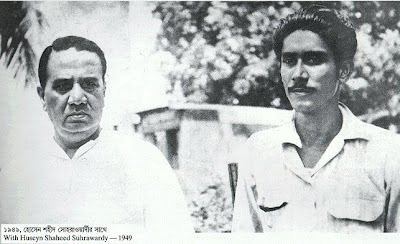 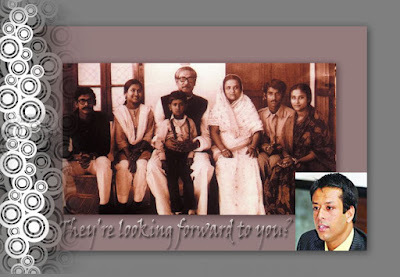 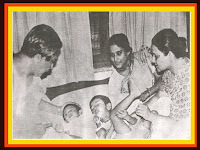 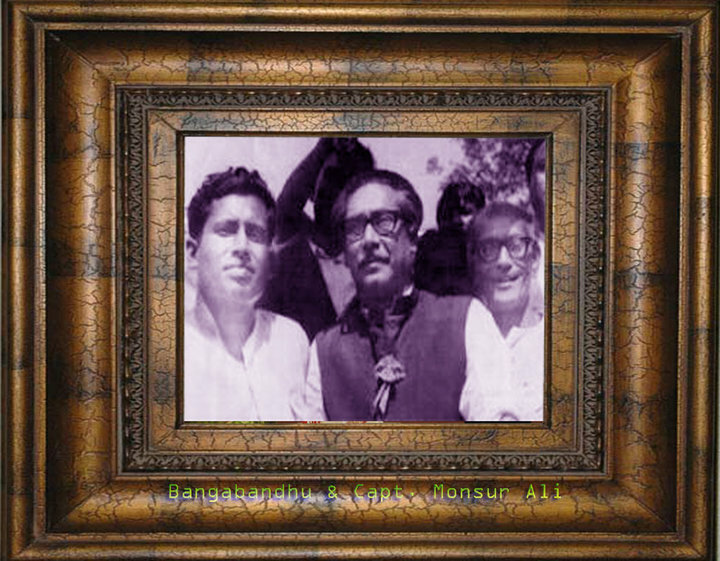 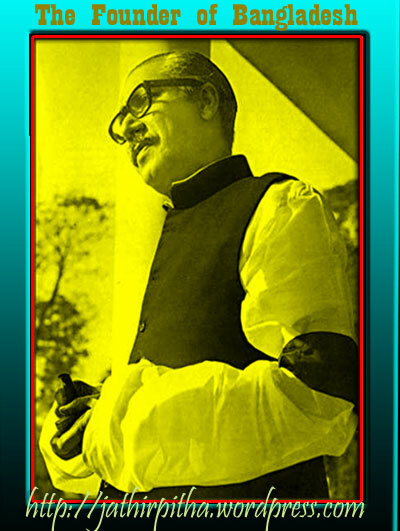 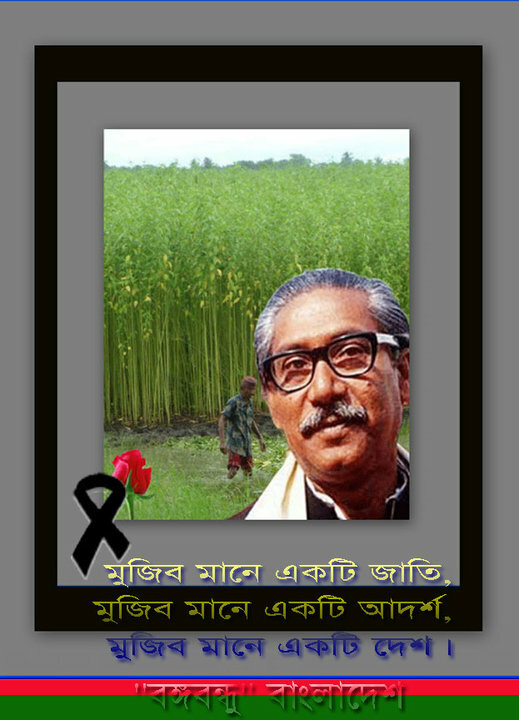 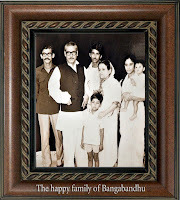 Bangabandhu was elected Joint Secretary of the newly formed political organization, the Awami League. 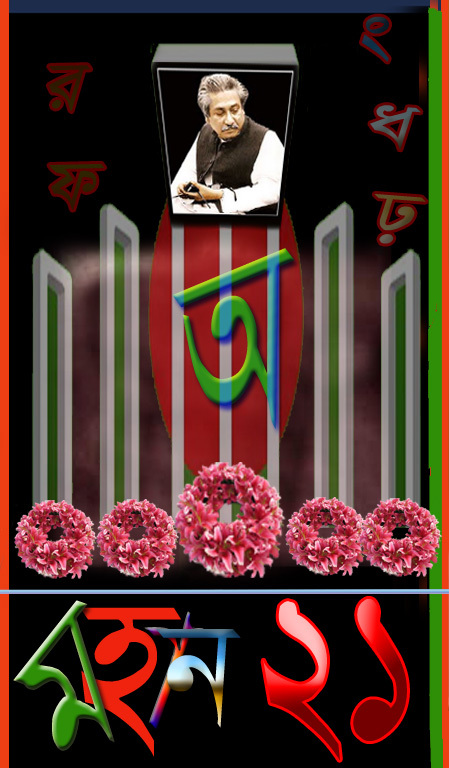 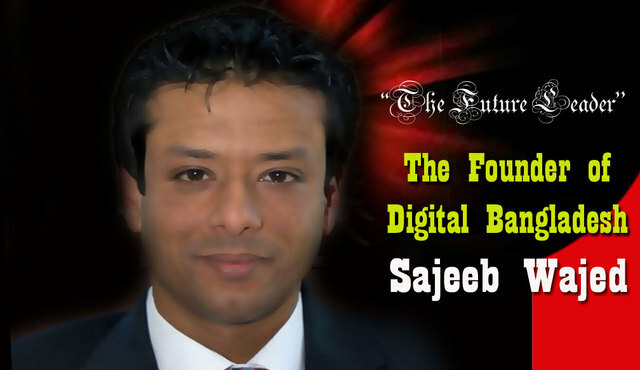 Previously he had been the leader of the progressive students' organization, the Chhatra League. 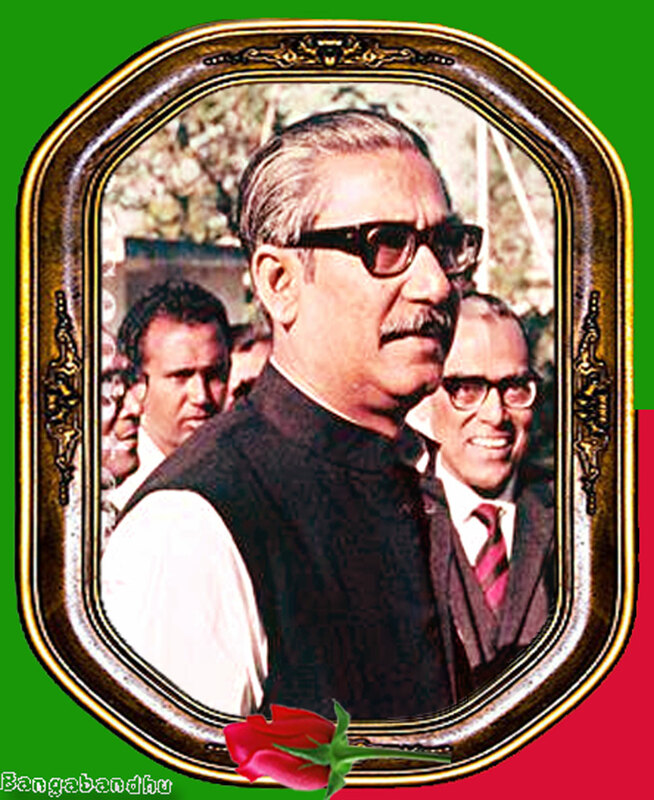 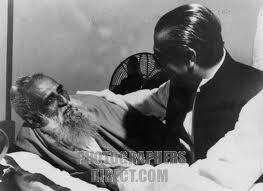 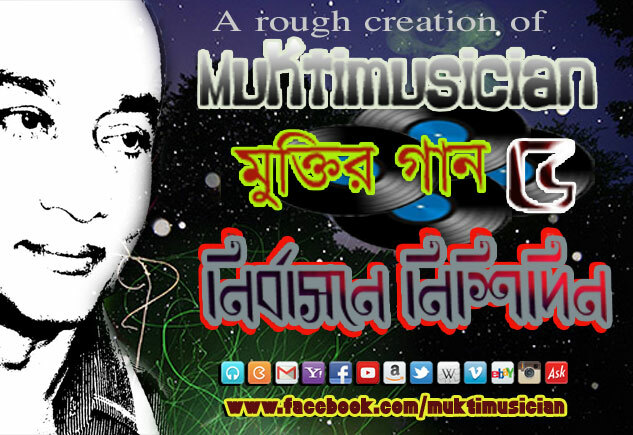 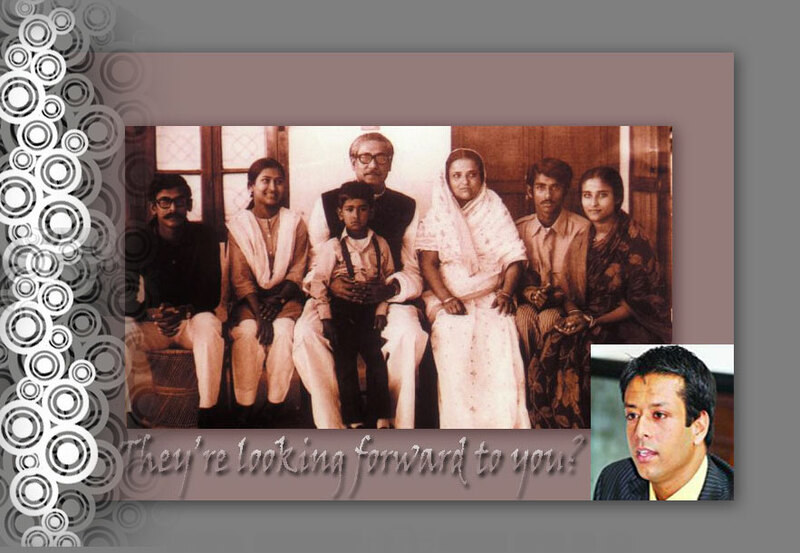 In 1953 he was elected General Secretary of the Awami League.